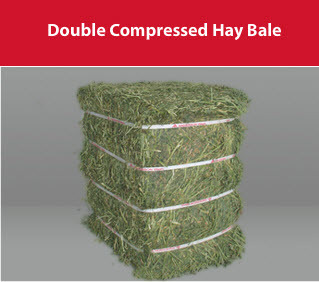 Double Compressed | Anderson Hay & Grain Co., Inc.
A Double Compressed Bale (D/C) is a process by which a bale direct from the field is further processed in one of our state of the art compressing machines. Processing hay in this way creates a smaller bale size for the most efficient transportation and ease of handling. This is the preferred package of dairy and beef producers in many regions of the world. 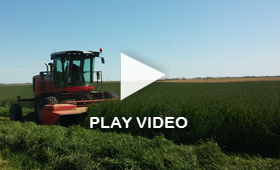 There is a half cutting option available with this configuration that is beneficial when a lighter bale is required. See the links below for more details.